PM Narendra Modi announced that the central government is planning to introduce and launch the PMAY-Urban Yojana very soon in New Delhi. According to the latest updates from sources it is certain that the already existing scheme would soon be introduced for action in NCT (Delhi). The agreement was agreed by (HUPA) Housing & Urban Poverty Alleviation and state Union Ministry. The Yojana was all set to be introduced in NCT New Delhi after the Central government successfully finalized all talks with Mr. Anil Bajaj in an official meeting. 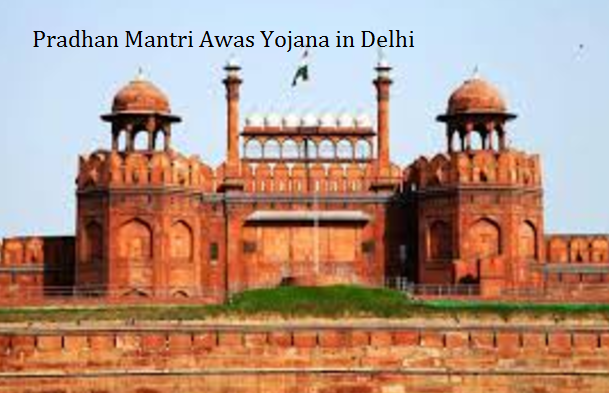 Presently majority of land in New Delhi is owned by Central government. The land is hold up by DDA (Delhi Dev. Authority) and some part of it is also owned by DUSIB (Del. State Ur. Shelter Improvement) authority. The decision for officially agreeing and signing of the MoU was decided by the top officials in the meeting. It was stated that the MoU would be officially signed between DUSIB, DDA and MHUPA . Preparing Master plan for all land that is owned by the state government. The state government has been asked to make all possible amendments in this plan. The state government also has to assure that it will with a single window solution that could offer with instant solution for approvals of building premises and land layouts. The DUSIB and DDA shall be acting as the main committee for the state government so that each components of the scheme can be implemented. The committee will be responsible for checking that the components of the PMAY has been effectively implemented after working out all possible factors. The set committee will be responsible for working out the set budget for land availability in Delhi at affordable price. The central government has a set a budget of Rs 1,00,000 crore. The government has also announced that it shall provide assistance of Rs 29,409 crore to the state government. The central and state government authorities shall be making use of this set budget amount for constructing nearly 18.75 lakh houses for Delhi people. The housing scheme will be implemented for middle class and poor people so it is certain that it shall be offering housing loan that will be subsidized by the government. Under this scheme it is certain that nearly 18.75 lakh people belong to poverty and middle class group shall get the benefit.